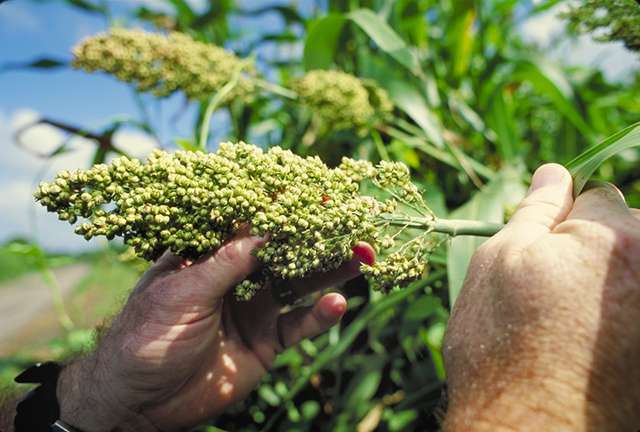 The wild ancestors of sorghum represent genomes that have not been damaged through cultivation. Although we don't harvest the wild ancestors of sorghum it's necessary to keep them alive as the ability to adapt to their surroundings by introgression could be crucial in the future of Sorghum bicolor to threats of climate change, meaning crops have to adapt to new environments. In Sorghum bicolor, damage to their genes is happening by the way it's farmed, meaning their core genome functions are accumulating damage over time, therefore we need to repair the crops genomic damage or productivity could decline. "Sorghum bicolor is the world's fifth most important cereal crop and the most important crop in arid zones. It's used for animal feed and beer and is grown particularly in North-Eastern Africa generating an economy there. "If we can't save sorghum's ancestors and use those genes to help Sorghum bicolor repair its genomic damage we could risk damaging the crop further. This could mean less animal feed, food and beer, as well as potentially damaging trade in North-East Africa." The paper titled 'A domestication history of dynamic adaptation and genomic deterioration in sorghum' is published in Nature Plants.